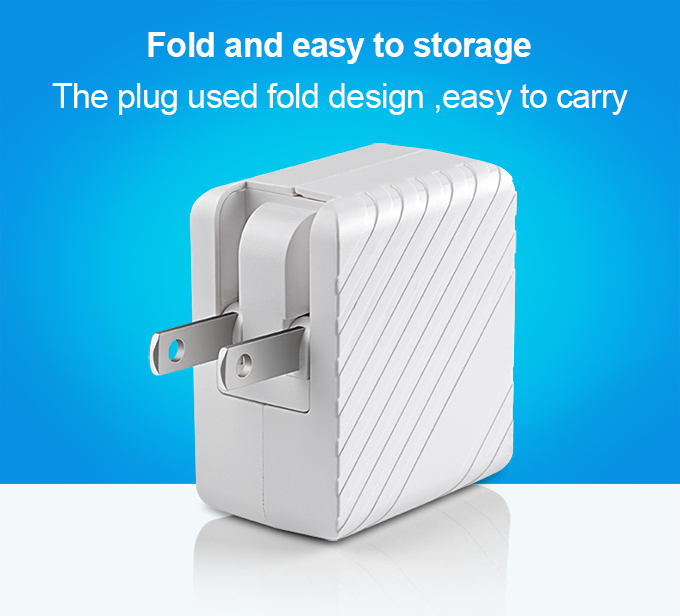 Topcom's TC-C350Q is a wall mount fast charger; quick output supports Smartphone, tablet PC and the devices requiring a DC5V, DC9V and DC12V input. 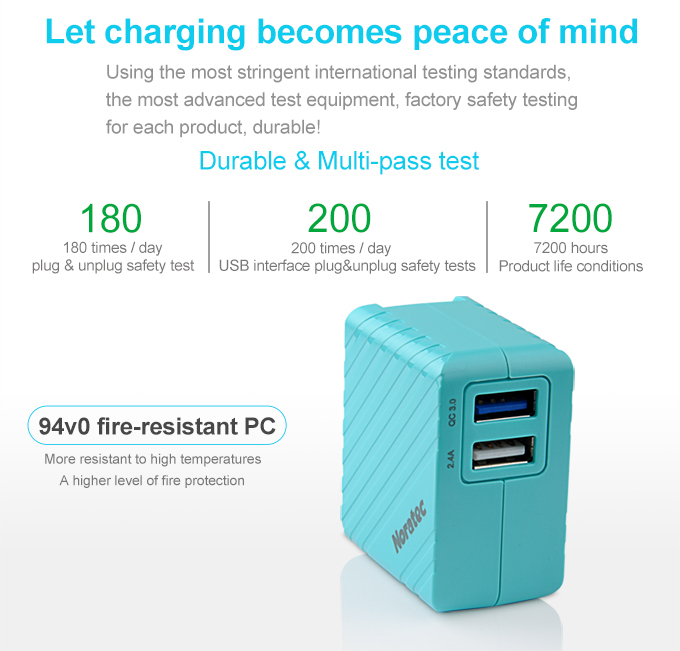 It's build-in DCP system to auto identify suitable voltage and current for a device needed , and support a device with the QC3.0 fast charging mode to increase speed around up to 50%. 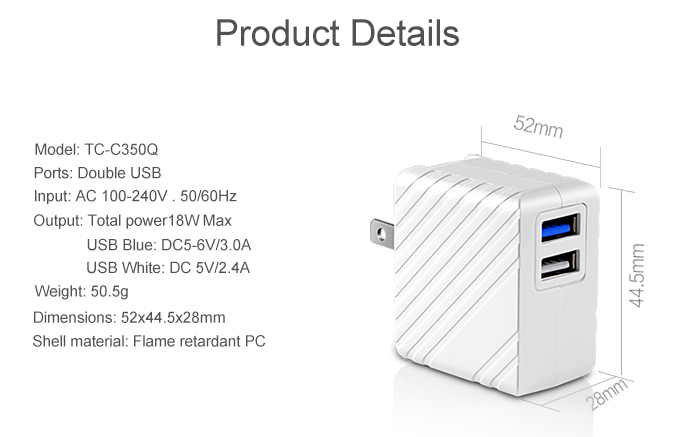 Topcpm's TC-C350Q fast USB charger made by the 94V0 fire-resistant PC material. securing a safer long-time usage condition. The QC3.0 technology is backwards compatible with QC2.0 and QC1.0 devices. 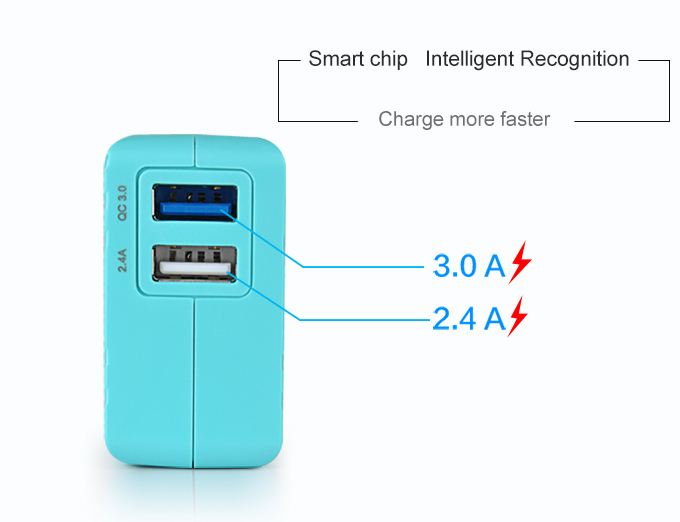 When used with a QC3.0 device, the quick charge function will activate automatically to provide increased voltage. 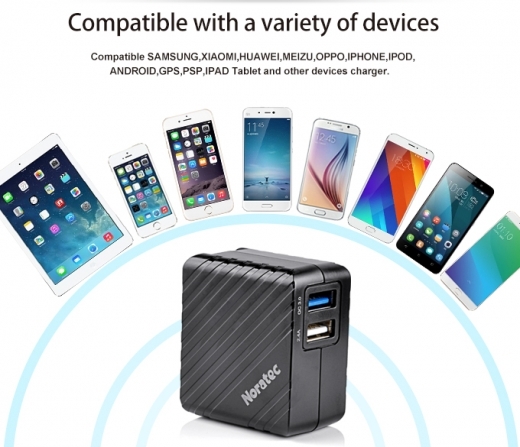 TC-C350Q portable USB charger not only powered QC3.0 devices but also charges devices that not compatible with QC3.0 at 5V for a wider range of applicability. 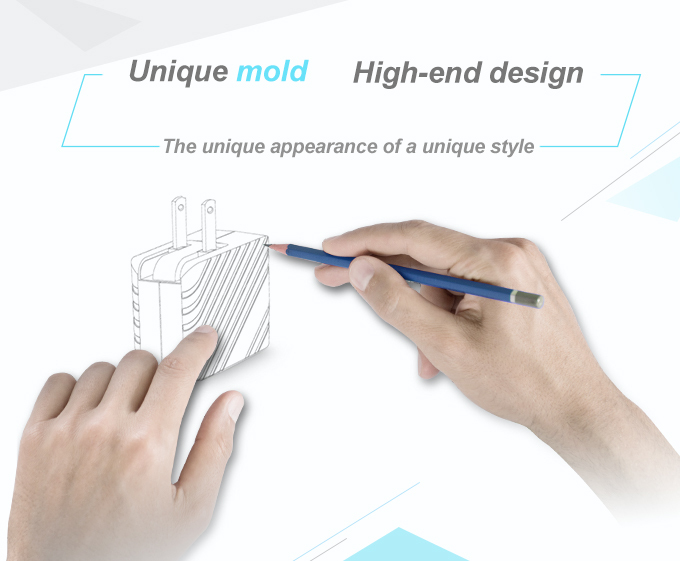 The molds/outlook/circuit of USB charger are all designed by Topcom engineers and built with exclusive high-tech technology. 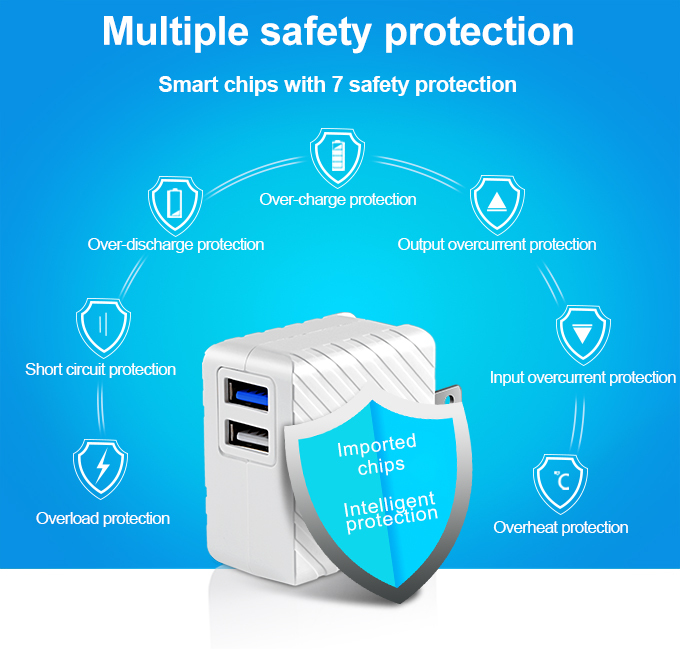 Topcom's TC-C350Q QC technic USB charger is designed with CC, CV and PWM circuit; besides, the multiple protections of over-current and short-cut circuit etc. is not only offering a stable charging process but also securing a safer long-time usage condition. 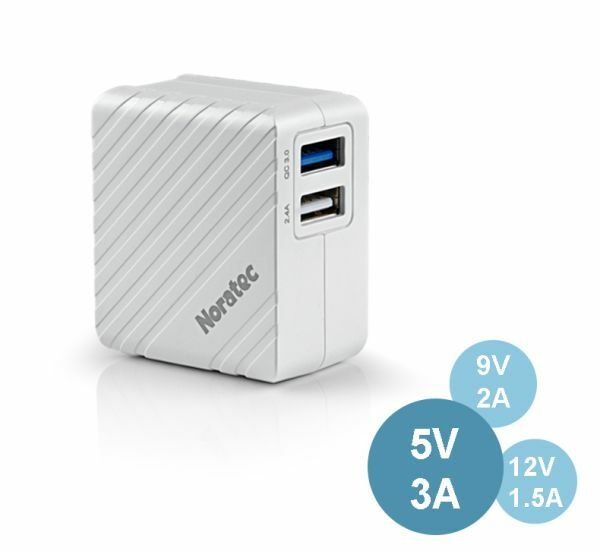 This USB charger is small and light .Whether you are on a business trip, working indoors, Topcom's TC-C350Q fast charger is your best choose. Topcom's TC-C350Q dual USB ports charger not only with friendly interface design to simple and easy use, but also comes with a high technology for charging. 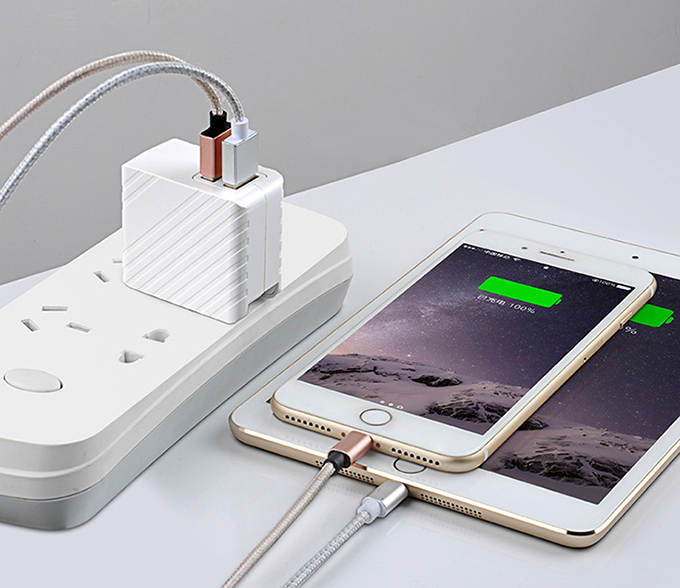 It is a famous brand phone and tablet's USB power supply , such as iPhone , Samsung ,SONY, ANokia , mi and other device’s USB charger. 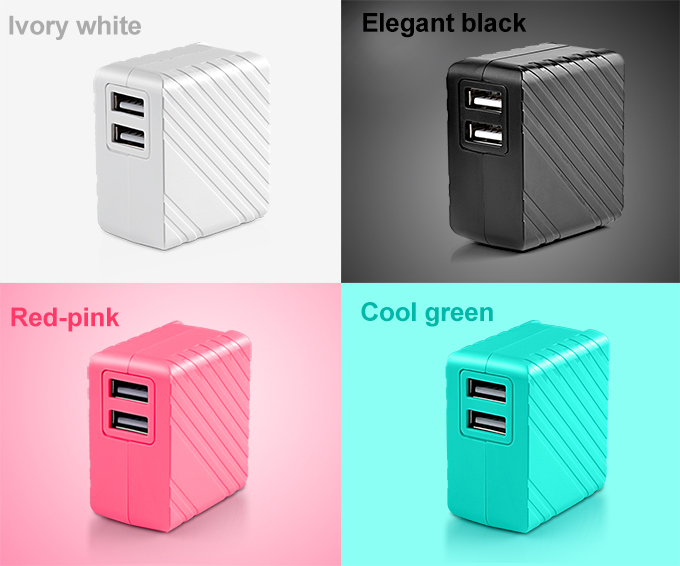 Whether you are on a business trip, working in office or home, Topcom TC-C350Q quick USB charger is your best choose.